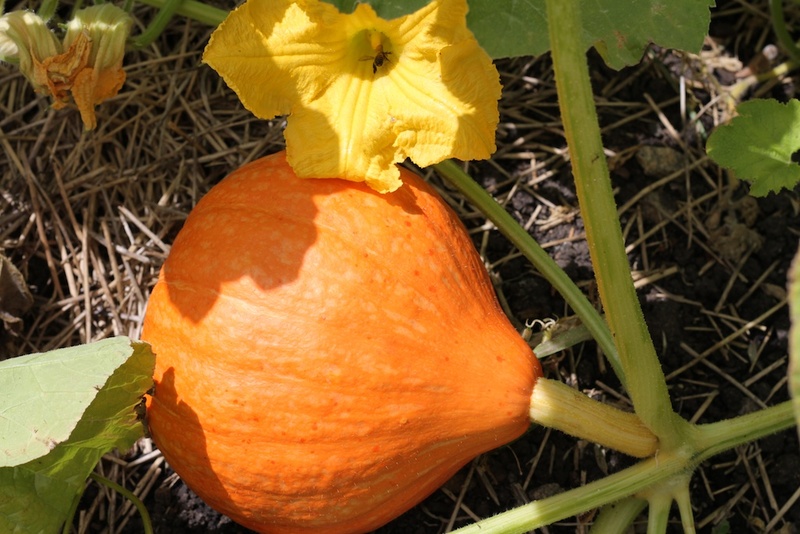 And other Cucurbits like zucchini, marrow and cucumber. 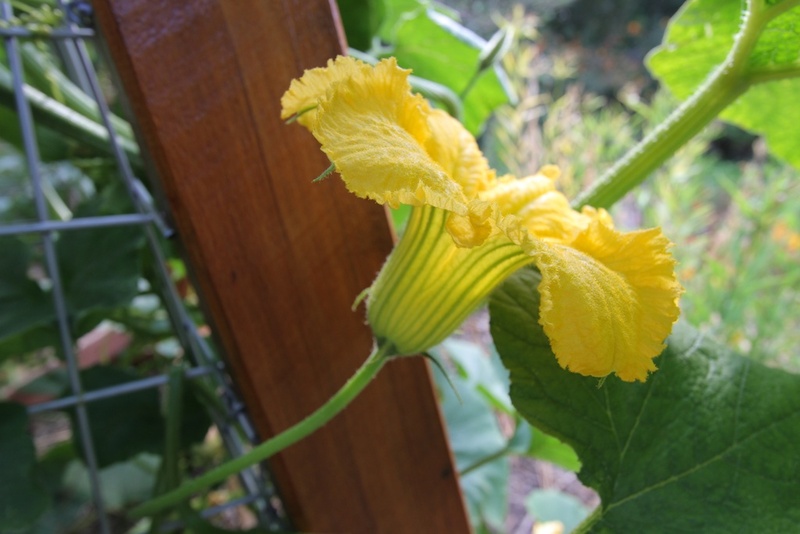 Pumpkins, zucchini, marrows and cucumbers need bees to pollinate their flowers before the fuit will set and start to grow. These plants all have male and female flowers and the bees need to fly into the male flowers, collect the pollen while feeding on nectar and then carry the pollen to the female flower. If this doesn’t happen then the little pumpkin (or zucchini or cucumber or marrow) that has started forming at the base of the female flower, will yellow and fall off. In very hot weather you may only get male flowers. This will mean that no pumpkins form during this time. There’s not much you can do about prolonged hot weather, except to plant at a cooler time of year, but if your pumpkins are not forming because of a lack of bees then then there is an easy solution. 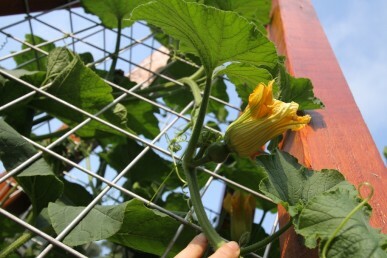 Take things into your own hands (literally) and do the pollinating. Look at the pictures to see how to tell the male and female flowers apart and then pick a male flower. Break off the petals so that the central stamens are exposed, these are covered in pollen. Poke this into the female flower so that the stamen touches the central stigma and the pollen is transferred. 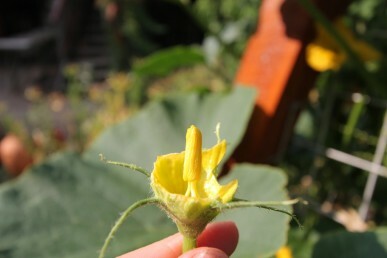 One male flower can be used to pollinate several female flowers. If you don’t want to break off a male flower, then use a paint brush to collect pollen from the stames in the male flower, and then transfer this pollen by touching the brush onto the stigma in the female flower. Easy. Pollination is best done in the morning as the female flowers close up in the afternoon.